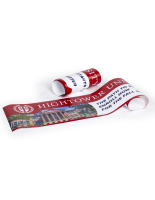 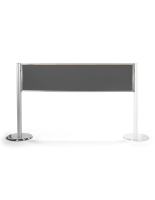 This post and panel advertising barrier system creates a structurally rigid queue line with plenty of branding potential. 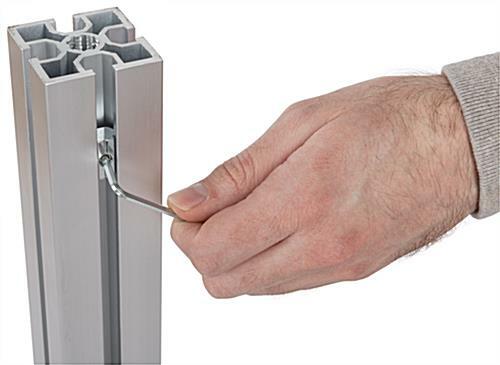 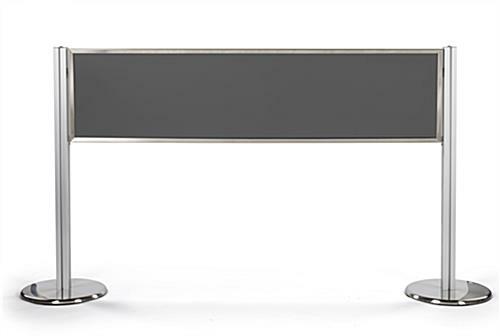 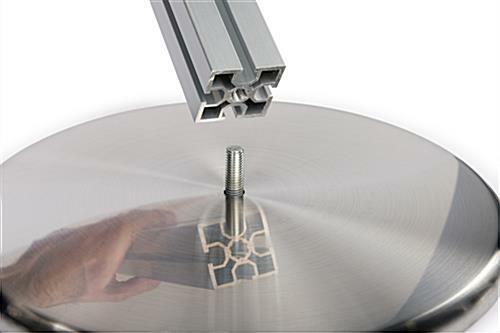 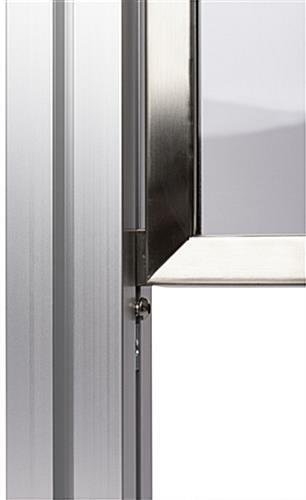 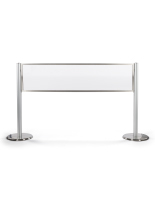 Designed to be fully modular and expandable, each square stanchion has four available slots to link partitions together, allowing for incredibly varied arrangements. 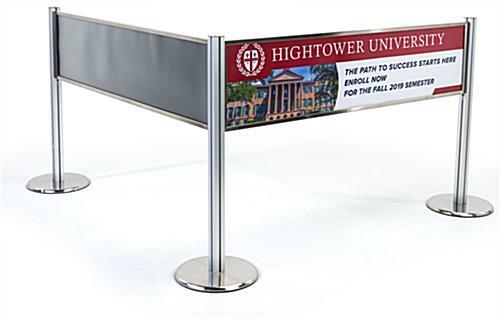 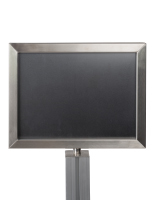 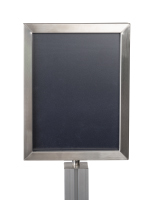 Easily incorporate custom signage into this structurally rigid post and panel advertising barrier system by inserting your own marketing materials or branding pieces to the partition frames. 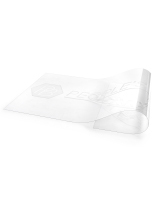 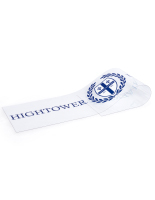 Two non-glare PET lenses and a sturdy foam backer ensure that printed signage are kept secure and protected. 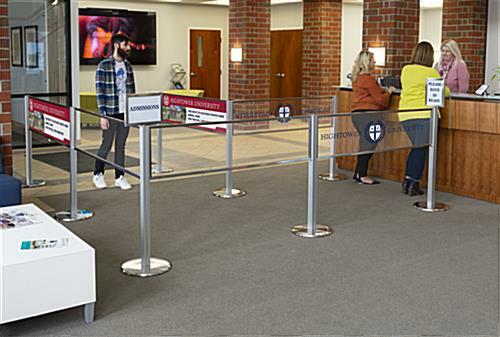 This basic configuration contains one 15” tall partition and two stanchions, making it the perfect choice when creating your own purpose-built queue line. 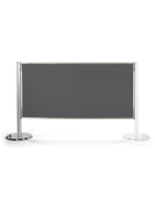 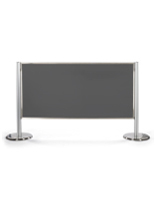 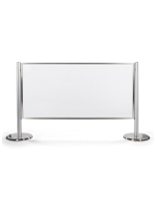 Show off your branding or promote a new product while managing customer traffic with this post and panel barrier system. 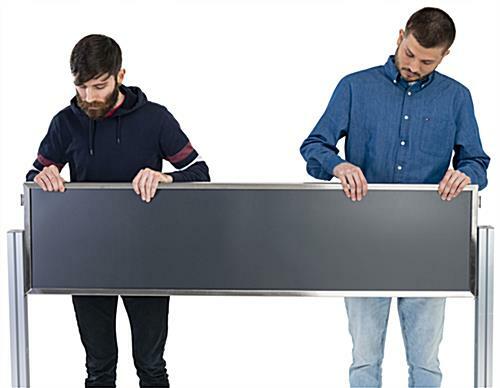 72.0" x 40.0" x 6.5"
60" x 15" x 1"